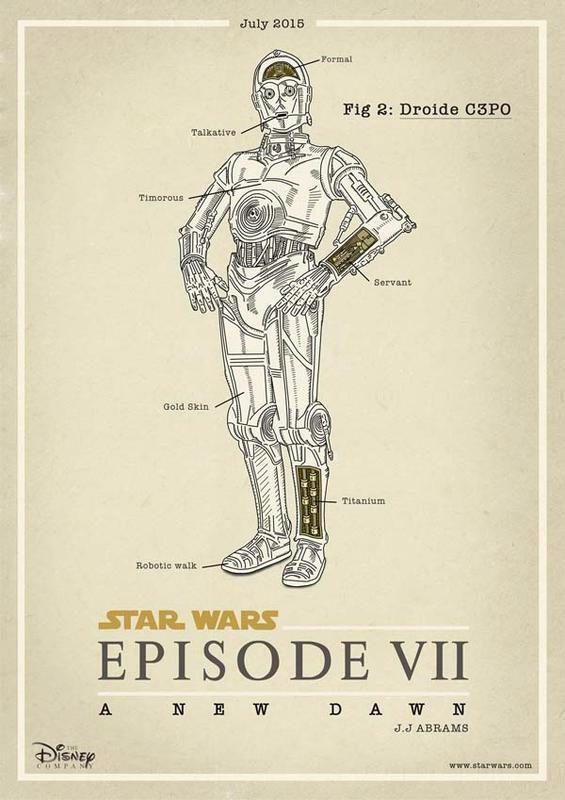 Star Wars Episode VII is scheduled for release by the end of next year, but apparently faithful fans can’t wait, so Clémence Dubois released her Star Wars Episode VII poster set. Clémence Dubois, a French female artist designed the set of gorgeous posters inspired by Star Wars Episode VII. 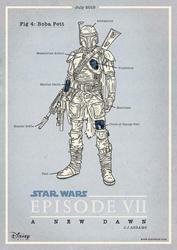 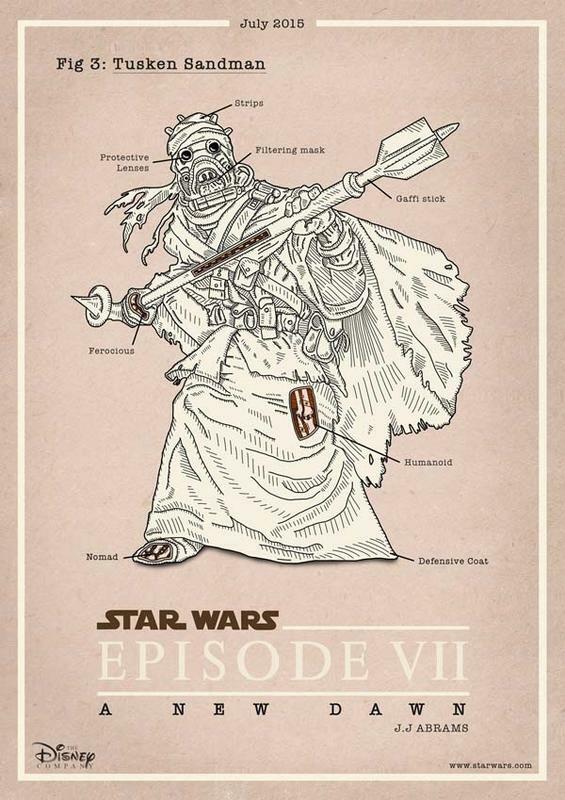 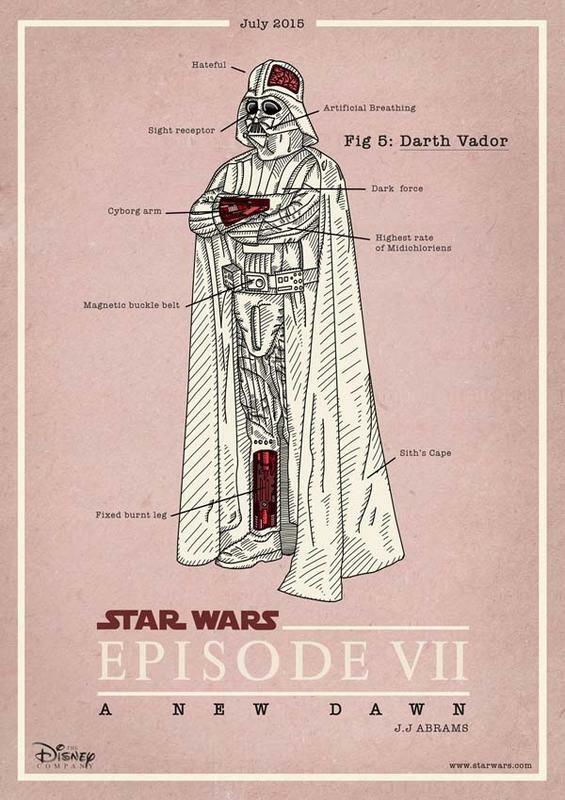 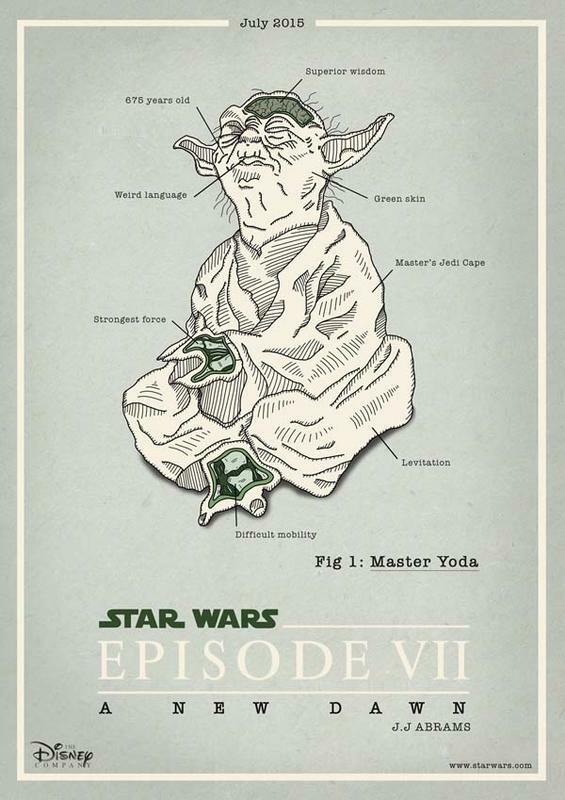 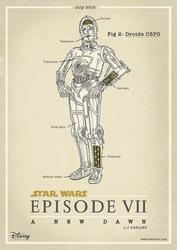 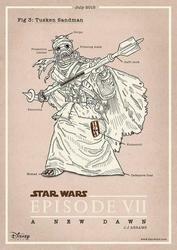 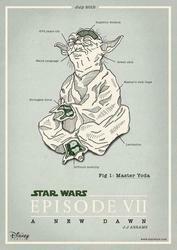 The poster set contains five different designs in total, each one sports an iconic character from the universe of Star Wars, including Darth Vader, Boba Fett, C-3PO, Master Yoda, and Tusken Sandman, moreover, each lining drawing character features exquisite detailing lining drawing style, while simple text shows you their features and characteristics, however, apparently we have no idea whether all these characters will appear in the latest episode of Star Wars.